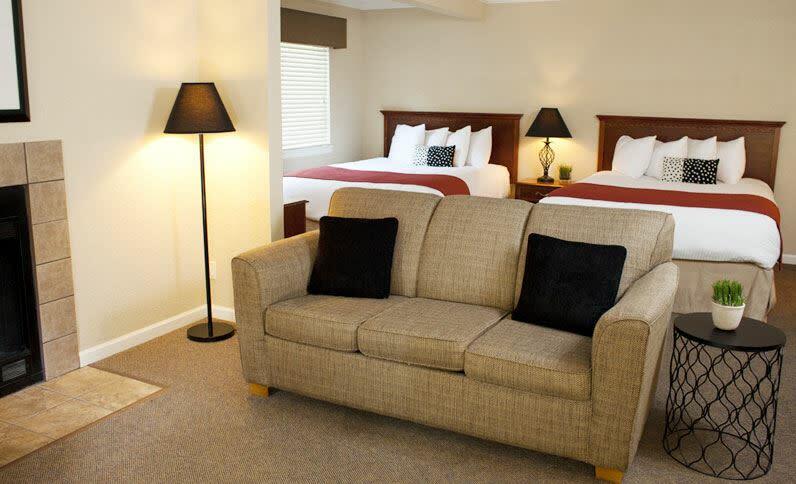 All suites feature a living area, full kitchen and bath, complimentary WIFI, on-site laundry and complimentary parking. Plus, free hot breakfast and weekday happy hour with food and bar. Description The Hardage Room is 723sqft and accommodates up to 50 people. The Boardroom seats 10 around a conference table. Inhouse catering is available or outside catering is permitted.